The result of the UK referendum in June 2016 on membership of the European Union had immediate repercussions across the UK, the EU and internationally. As the dust begins to settle, attention is now naturally drawn to understanding why this momentous decision came about and how and when the UK will leave the EU. What are the options for the new legal settlements between the UK and the EU? What will happen to our current political landscape within the UK in the time up to and including its exit from the EU? What about legal and political life after Brexit? 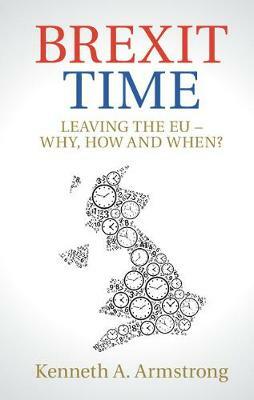 Within a series of short essays, Brexit Time explores and contextualises each stage of Brexit in turn: pre-referendum; the result; the process of withdrawal; rethinking EU relations; and post-Brexit. During a time of intense speculation and commentary, this book offers an indispensable guide to the key issues surrounding a historic event and its uncertain aftermath.